Egg tray making machine of Beston has drawn much attention among customers. The buyers of Beston speak highly of quality and service. Today, I would like to tell you the advantages of Beston egg tray machine. Beston has experienced sales and after-sales service team. In order to stand out, we come up with a much better technology, a much better product, and much better user experiences. 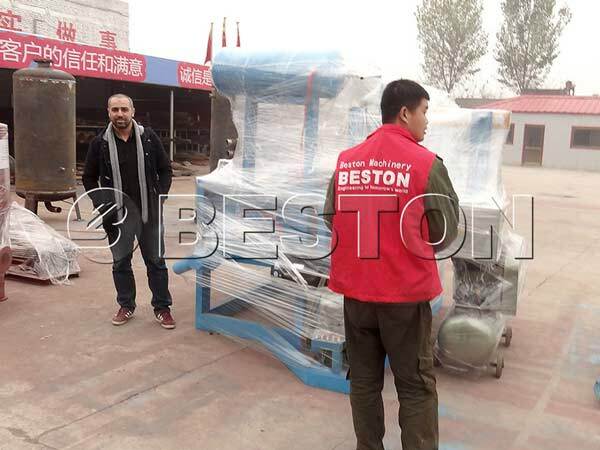 At present, Beston machine has been exported to many countries, Algeria, Egypt, Russia, Ukraine, Australia, Argentina, Brazil, Saudi Arabia, Libya, Syria, etc. More and more customers begin to buy pulp molding machine, apple tray making machine, egg carton forming machine from Beston. Super quality and competitive price are our advantages. In future, we will insist to provide you first-class quality and lowest price. We are looking forward to cooperate with you. Firstly, you should make a detailed plan for maintenance. Secondly, you should adopt appropriate operating and maintenance method. At the beginning, you should read specifications carefully. When you are able to operate, you can start your work. Thirdly, if you meet some difficulties in operating process, you should contact us through whatspp, phone, video chat, etc.